Vmax³ C350 is composed of a permanent, high-strength, three-dimensional matting structure, incorporated with a 100% coconut-fibre matrix that supplements the permanent matting structure’s grass germination and erosion control capabilities for up to 36 months. 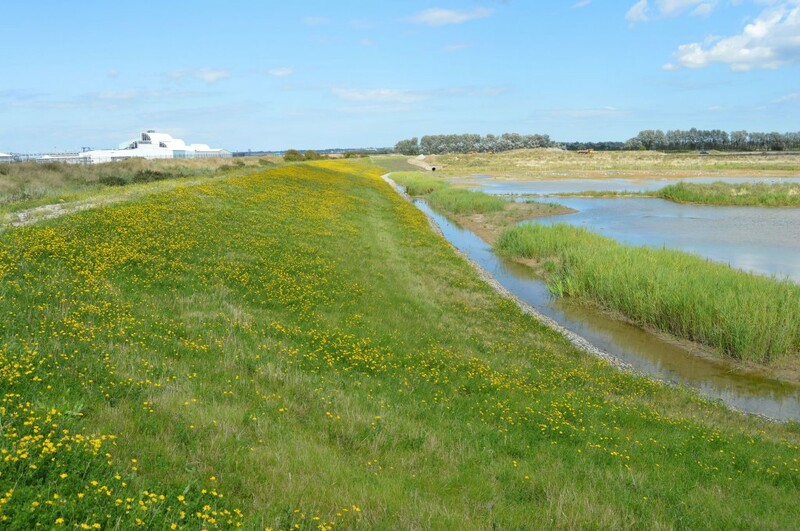 C350 is designed to provide long-term, vegetated erosion protection and permanent turf reinforcement in a range of applications that include critical-flow channels, stream banks, and shorelines. Proven in extensive laboratory and field research, as well of thousands of applications all around the world, C350’s high-strength, 3-D matting structure boosts the shear resistance of vegetation up to 576 Pascal. With permanent erosion protection equivalent to that of 0.76 m rock riprap, C350 provides a cost-effective, environmentally friendly, “green” solution to erosion control projects for severe conditions. Unprotected seed and soil are highly susceptible to erosion. 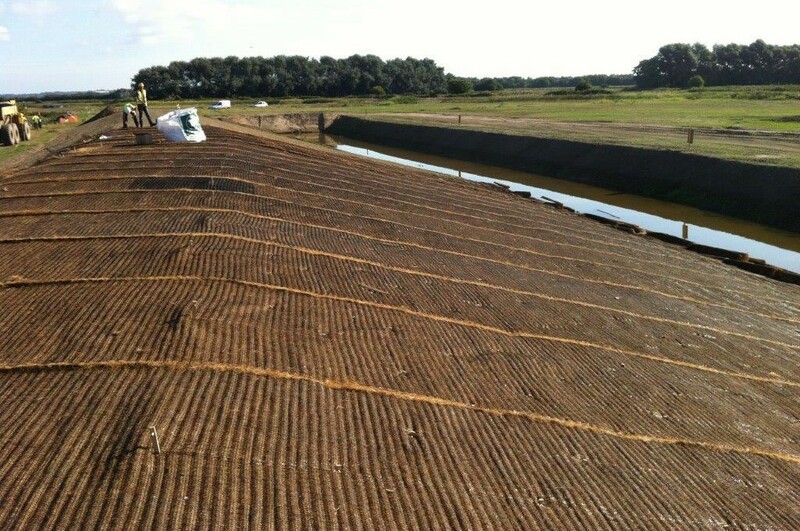 Upon installation, the C350’s coconut fibre matrix and corrugated matting structure provide a uniform mulch layer and effective erosion protection for seed and soil under flow-induced shear stresses up to 153 Pascal and a permissable flow velocity of up to 3m/s. The C350 continues providing erosion protection between, and structural support for, developing plants – increasing the permissible shear stress of new vegetation up to 480 Pascal. 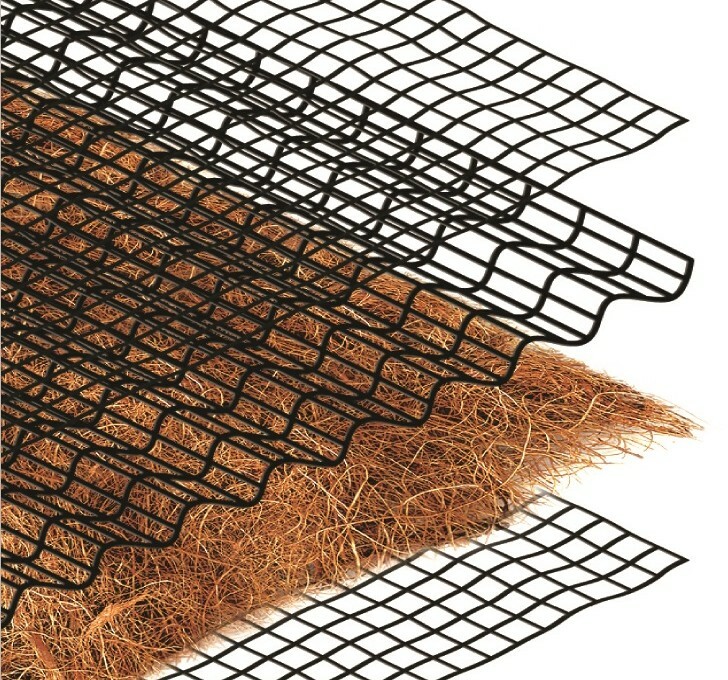 The C350’s corrugated matting structure reinforces soils and anchors vegetation roots and stems – increasing the permissible shear stress of the permanent vegetative stand up to 576 Pascal or up to 6m/s flow velocity. The advantages of Salix Bioengineering Solutions V Blockstone on two Welsh Rivers – Case Study Evidence Reservoir Dogs Rail River Rock Bringing Biodiversity to Hydro Plant in Pershore Turf Reinforcement Erosion Mats in CIWEM Naturalising a Stream: Bedlinog Sandwich Flood Alleviation Scheme Balfour Beatty endorse Salix’s erosion control solutions Roadwater Erosion Protection Tough Test on The Teme Spillways Surge Ahead!